A watershed is an area of land where the runoff from rain and snow will ultimately drain to a particular stream, river, wetland, or other body of water. Healthy watersheds provide plentiful drinking water supplies, habitat for fish and wildlife, and water for irrigation, industry, or recreation activities. Without clean water supplies, our society would be radically changed from what it is today. In a watershed even the slightest of changes can make a big impact. 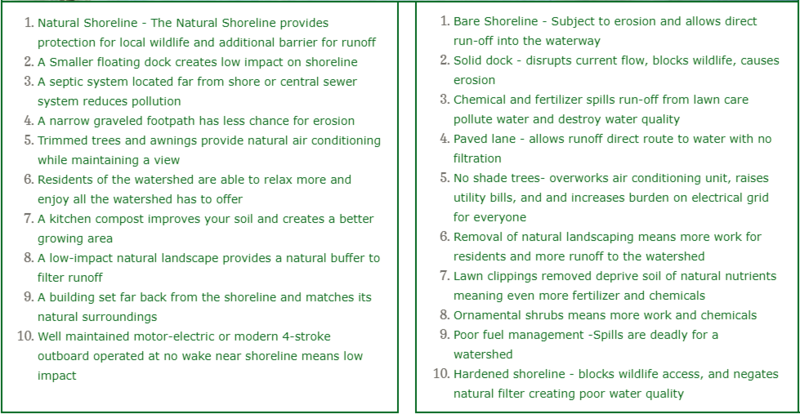 Below is a great example of how your yard can have an effect on the Lake of the Ozarks watershed. WHAT IS A WATERSHED MANAGEMENT? 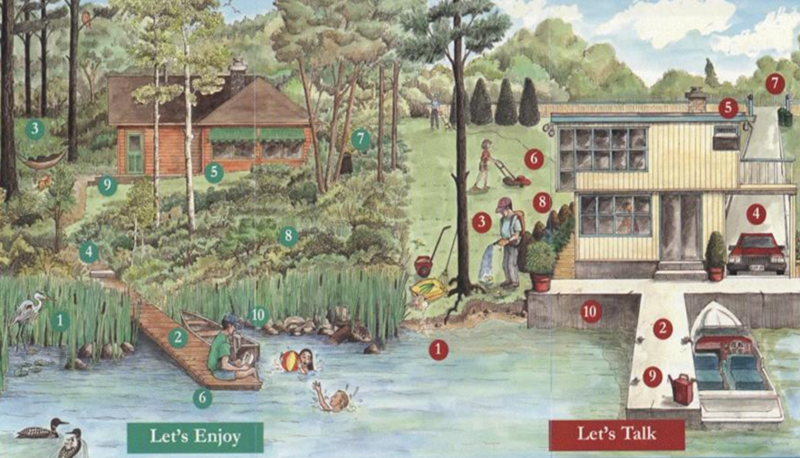 Watershed management is a term used to describe the process of implementing land use practices and water management practices to protect and improve the quality of the water and other natural resources within a watershed by managing the use of those land and water resources in a comprehensive manner. Few communities are alone in a watershed. They are each affected by activities of neighboring communities, towns, and cities, areas upstream or downstream, all are in a common watershed. The LOWA watershed approach brings diverse interests and resources together to solve common problems. LOWA has developed one of only 2 U.S. EPA approved Missouri watershed management plans. The LOWA watershed management plan focuses on the two HUCs (Hydrologic Unit Codes) of Buck Creek and Lick Branch. 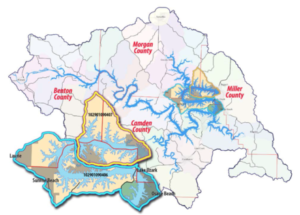 To see a copy of the Lake of the Ozarks Watershed Management Plan CLICK HERE! Imagine if we did not have the Lake of the Ozarks; can you? A life without the lake is possible, and worse! All water is recycled water, whether by nature or by people. The quality and quantity of our water is always at risk. Changes in land use which increase the amount of impervious surfaces, such as more pavements and rooftops, increase runoff volume and velocity, causing increased flooding and erosion. Impervious surfaces also prevent water from soaking into the ground and replenishing groundwater supplies within a watershed. Everyone lives in one watershed or another and everything everyone does effects not only their watershed but those downstream. 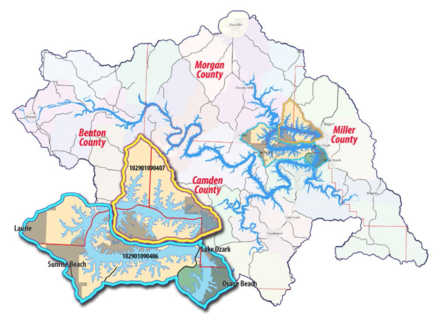 The Lake of the Ozarks watershed is a driving economic and recreational force in the State of Missouri, bringing millions of dollars into the state and local businesses and municipalities. Future generations are dependent on what we do today to preserve and protect our lake asset. LOWA is dedicated to ensuring the thriving social, economical, and natural resource that is the beautiful Lake of the Ozarks.